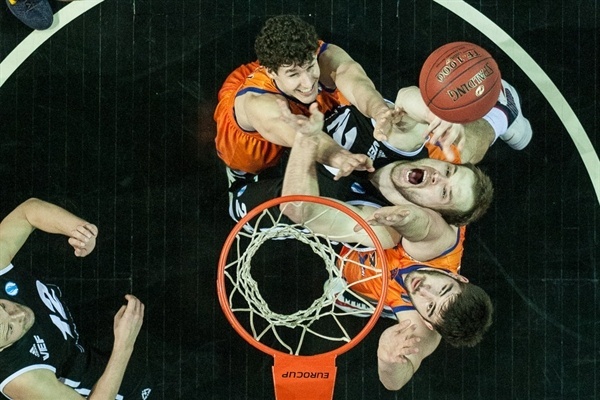 With its possible elimination at stake, two-time Eurocup champion Valencia Basket rallied from a 22-point deficit to grab a life-saving 96-103 overtime win over VEF Riga in the Latvian capital on Tuesday. With this victory, Valencia gained control of its own fate in Group J. 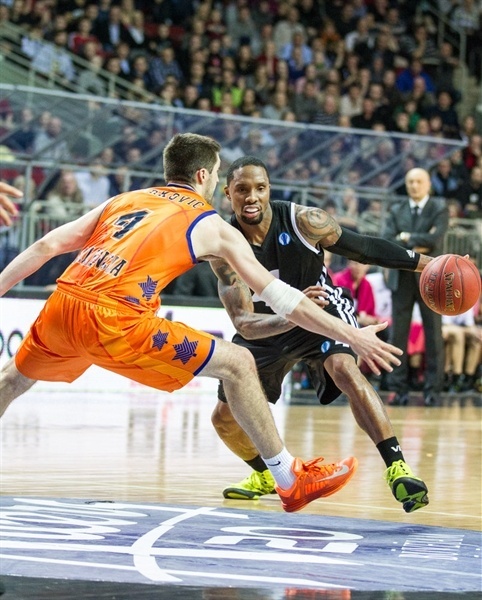 Both teams now hold 3-2 records, but Valencia holds a tiebreaker with two wins over Riga. The hosts, who would have secured the club’s first Eurocup quarterfinal berth with a victory, seemed in control after building 37-15 lead in the second quarter. But, Valencia cut it to 11 points before halftime, and with 13 third-quarter points from Justin Doellman, came back to tie the game at 70-70. 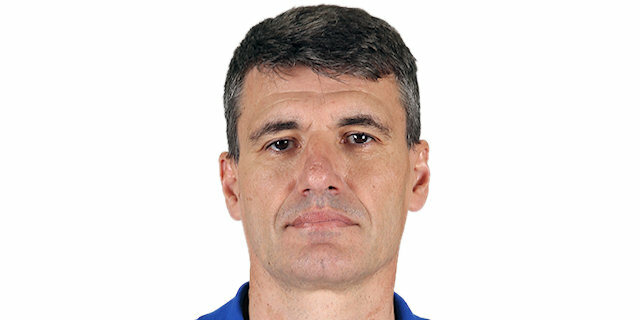 With leads changing hands in the fourth quarter, Pau Ribas forced overtime with a reverse layup that made it 90-90 with 6 seconds left. Riga missed its last shot and never led again. Stefan Markovic made a key driving layup in the extra session, and Bojan Dubljevic sunk 7 of 10 free throws for Valencia’s victory. Doellman finished with 23 points plus 8 rebounds and Dubljevic had 18 points plus 10 rebounds for the winners. 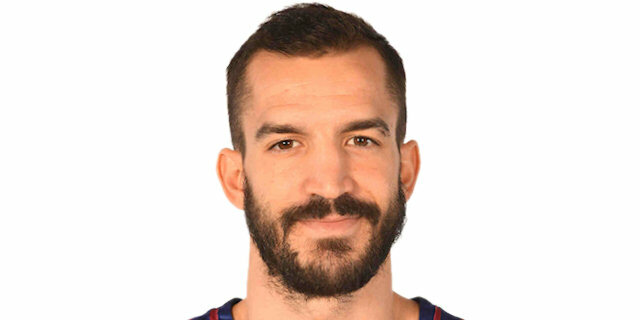 Ribas also scored 18, while Rodrigo San Miguel contributed 12 points. For the hosts, Earl Rowland netted a game-high 29 points but missed a potential game-winning triple at the end of regulation. Kristaps Janicenoks scored 12 of his 14 points in the first half, Kaspars Berzins collected 12 points plus 8 rebounds, while Dairis Bertans and Donatas Zavackas scored 11 apiece. Riga stormed out of the gate to open up an early double-digit lead. Antanas Kavaliauskas scored a layup and a dunk on first couple of possessions, and after Serhiy Lishchuk made basket-plus-free throw to open Valencia's account, assisted Zavackas on back-to-back triples at 10-3. After Rowland added a layup, Janicenoks did the same off a steal then sunk a triple to make it 21-7. 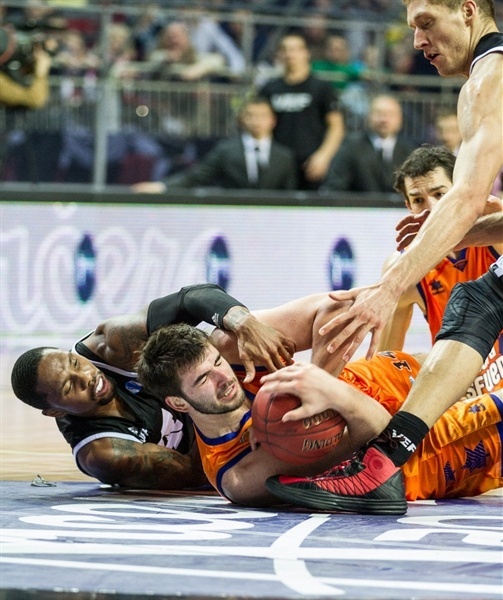 Valencia struggled with 5 turnovers before back-to-back threes from Markovic and Ribas got the visitors going. However, Janicenoks hit another triple and followed it up with another fastbreak layup, for a 30-13 scoreboard after one quarter. Riga continued firing on all cylinders, extending the margin to 37-15 with a fastbreak dunk from Berzins and a triple from Gatis Jahovics. Valencia disrupted Riga’s rhythm with a zone defense, while showing some life on their own offense as Doellman made a basket-plus-foul and San Miguel scored from downtown. Valencia cut the deficit to 39-25 before Rowland snapped a 2-10 run with a deep three. 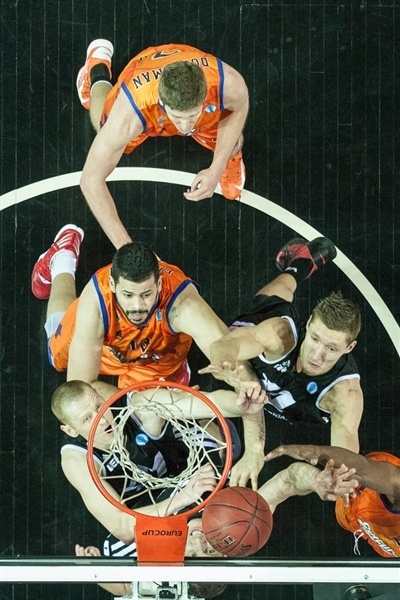 But Dubljevic and Doellman answered from downtown on back-to-back possessions helping bring Valencia within 44-34. Bertans nailed a three-pointer from the left corner and Janicenoks beat the buzzer with a put-back for Riga’s 49-38 halftime lead. Lishchuk and Thomas Kelati scored layups and San Miguel sank a three-pointer as Valencia cut the difference to 53-46 after halftime. Rowland’s next triple kept Riga in control and Berzins made it a 12-point game again from close range, but Valencia went back to zone defense and cut it to 62-58 after Doellman hit twice from deep and Kelati made a driving layup. After a Riga timeout, Doellman continued his spree with a runner off the glass, a triple and a dunk, but the hosts stayed in front with three-pointers from Zavackas and Rowland. A tip-in from Ribas beat the buzzer at the end of the third quarter, and Kelati hit a triple on the opening possession of the fourth for the first tie of the game, 70-70. 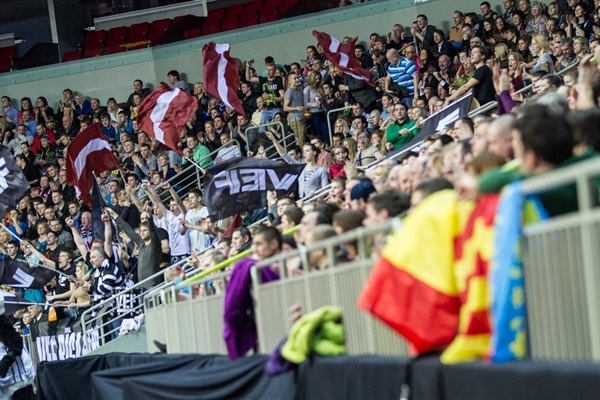 Riga responded through Kavaliauskas and Rowland, but Markovic sunk a three while Ribas first nailed couple of jumpers and then hit a triple for Valencia’s first lead of the game, 78-80. Riga never stopped working on the offensive boards and regained 85-82 advantage with a layup from Jahovics after Rowland and Berzins combined to make 5 of 6 foul shots. The hosts went up 89-86 when Rowland sank a three-pointer with 29 seconds to go. Ribas hit 2 free throws, and after Rowland only split his pair, drove for a reverse layup with 6 seconds on the clock that forced overtime, 90-90. Valencia grabbed the lead in the extra session as San Miguel hit a jumper. With tensions high and pressure mounting for both teams, buckets did not come easy. Berzins scored twice inside for the hosts, but Dubljevic made 3 of 4 free throws, and Markovic drove for an uncontested layup, making it 94-97. Doellman’s free throws made it a five-point diffference, and after Rowland’s layup gave hope for Riga, Dubljevic went on to make more free throws and seal the deal. "Congratulations to our opponents who got this tough win. We had great crowd and fan support, but too bad that we couldn't end up with a win. We did a lot of work in preparation for this game, but we were not quite ready for their zone defense, which surprised us. It's my mistake that we weren't ready to play against zone defense. Now we have one more game, which will be decisive. Bilbao is very strong team and playing at their home won't be easy. " "We started the game pretty bad and let Riga shoot with a high percentages and build an early lead. During the game we switched to zone defense, which helped us to get back in the game. Playing four games in five days wasn't easy. I'm proud of my team, they showed character." "We played against good team. We started the game like we wanted to, but later we made some bad mistakes, including myself. It's one of those games that hurts a lot, but it's basketball. We have to get through this. " 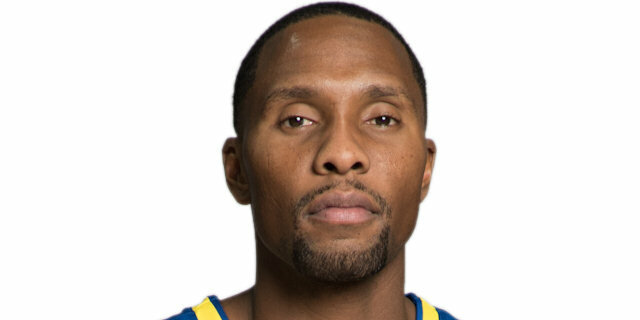 "We knew that they are a very good shooting team. At the beginning they shot very well, but we continued to play hard and in the end we pulled out this win. "